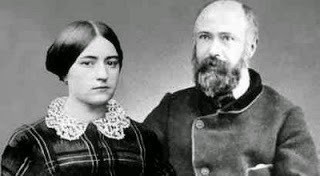 For our first day, I want to share with you Blessed Louis and Zelie Martin. 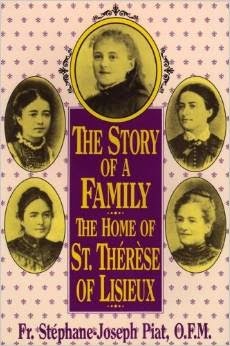 Louis and Zelie were the parents of St. Therese of Lisieux, as well as parents to a number of other children, both on earth and in heaven. I love the example that they are for marriage and family life. Both Louis and Zelie had tried to join a religious order. 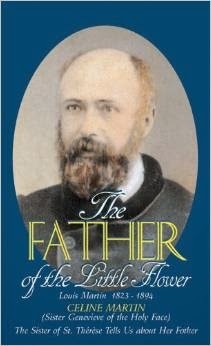 In Louis' case, he didn't have all the qualifications necessary to join, and in Zelie's case, I believe, the mother superior sensed that religious life was not her calling. Both were saddened by the rejection, but carried on with their work. Once they found each other, of course, it all made sense. Louis and Zelie were very much moderns, but they did what they could to resist secular ways that conflicted with their faith. For example, many shops in France were open on Sundays, but the Martins kept their businesses (lace making and watch repair) closed. They took their children to Mass regularly, and went to daily Mass as a couple every morning. But most beautifully, they created a real domestic monastery in their home. Their home was a place of love and of faith. 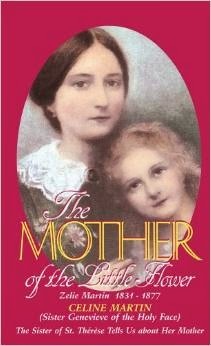 Each of their little girls was treated as the treasure she was (no easy task with small children! ), and the love in their home was palpable. Faith was interwoven throughout their home and family lifestyle. The little ones were often thinking of heaven, because their reminders of it everywhere.